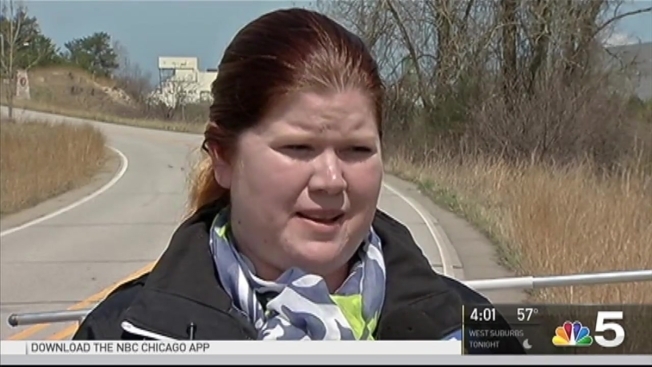 Hexavalent chromium, or "chromium 6" is the same chemical that appeared in the film “Erin Brockovich"
Several beaches at Indiana Dunes National Lakeshore were closed Tuesday after a toxic chemical called hexavalent chromium spilled into the Burns Waterway. Ash-har Quraishi reports. Several beaches at Indiana Dunes National Lakeshore were closed Tuesday after a toxic chemical called hexavalent chromium spilled into the Burns Waterway. According to the U.S. Environmental Protection Agency, the spill originated at a U.S. steel facility in Portage. The site reported a wastewater discharge containing hexavalent chromium, a toxic byproduct of industrial processes, to the waterway Tuesday morning. Several area beaches, including Indiana Dunes National Lakeshore’s West Beach, Portage Lakefront and Riverwalk, as well as nearby Ogden Dunes' town beach, were shut down shortly after. Sky5 footage taken early Wednesday morning from overhead showed what appeared to be a dark substance spreading into Lake Michigan, but the EPA says that's sediment, not the chemical. The Occupational Safety and Health Administration warns chromium six can lead to cancer, kidney damage, skin ulcers and permanent eye damage. It is unknown exactly how much of the dangerous chemical was spilled into the waterway, but the nearest water source at Ogen Dunes was also shut down “out of an abundance of caution,” according to the EPA. "EPA sampling today and yesterday has not detected hexavalent chromium from the spill in Lake Michigan," the department said in a statement Wednesday. Officials warned residents and their pets to refrain from any contact with the water in Lake Michigan and the Burns Waterway in the affected areas. U.S. steel did not immediately respond to NBC 5’s request for comment.